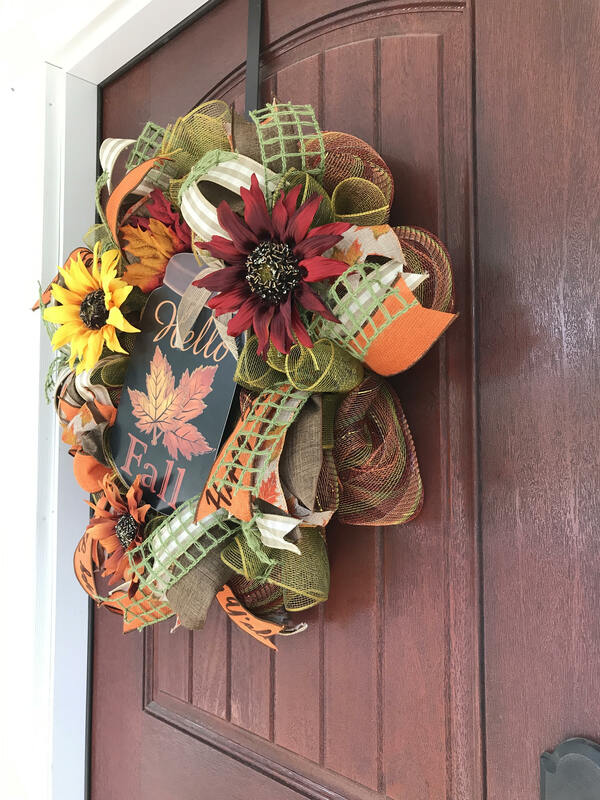 Say Hello to Fall with this beautiful wreath. 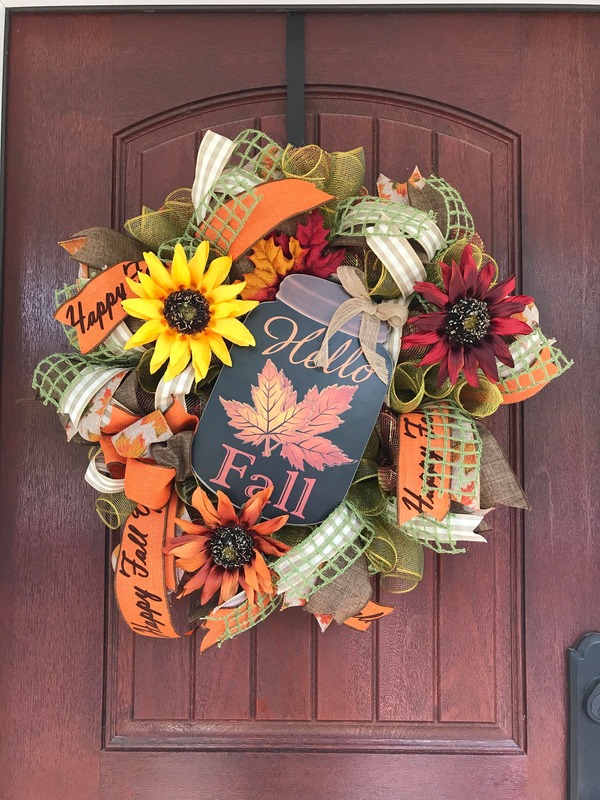 Wreath is made with deco mesh, multiple ribbons, sunflowers, & a wooden sign. *If you are placing your wreath outdoors it could be subject to weather conditions. While some of the wreaths I make are made using weather resistant material not all of them are. Exposure to direct sunlight, poor weather, moisture, freezing temperatures, wind, etc. can cause such problems as fading, material sagging, paint chipping or peeling. 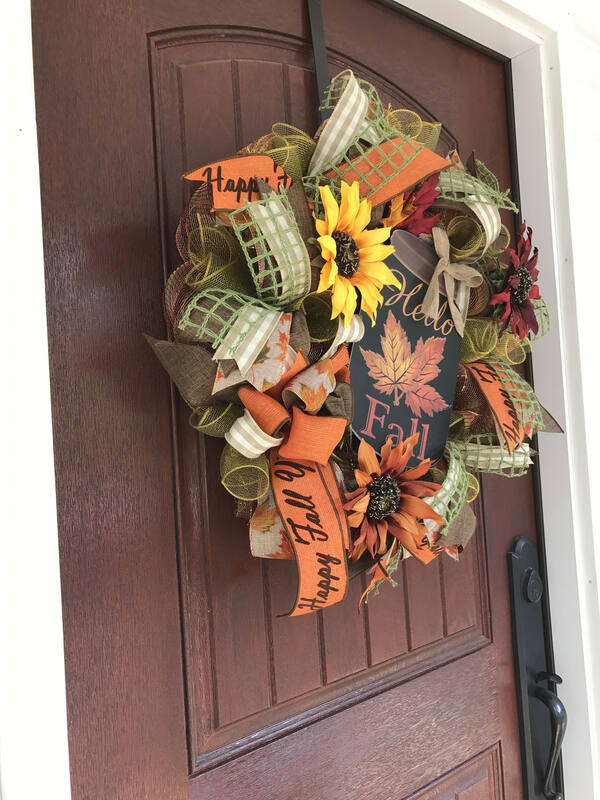 If you are placing outside it is recommended to place under porch or overhang to help protect from the elements, this will help your wreath last longer.